Our mission is to offer the most practical, challenging, and globally valued certification and training programs for finance professionals. Kaizen (constant improvement), Speed of Implementation, and Focus. Our team here at the Investment Certification Institute provides some of the most well-known and practical finance training programs in the areas of financial analysis, financial modeling, hedge funds, private equity, and investment banking. We have over 350,000 global members in our networking groups, and over 15,000 professionals have paid to join our training and certificate programs, and millions of industry professionals have interacted with our brand through our bestselling books, popular YouTube channels, live conferences, and the speeches we have given in more than 15 different countries at 50+ live conferences. Richard Wilson is the founder and President of the Investment Certification Institute. Richard is also head of the 110,000 person Hedge Fund Group and 115,000 member Private Equity Investment Group associations. Due to the realization that most professionals receive very little if any practical training from their employer or school within their specific area of work Richard helped create the Investment Certification Institute. The mission of the Investment Certification Institute is to provide practical online training and certification programs for niche professions and industries so that teams or individual professionals may learn only what is relevant and practical instead of traditional and generic. Richard is a frequent speaker at conferences and he presents within his own full day training workshops every year within cities such as New York, Singapore, London, Brussels, San Francisco, Moscow, Chicago, Tokyo, Boca Raton, and Hong Kong. Richard is the author of six books and he has written and published over 5,000 articles that have been read by over 20,000,000 professionals in the business and finance industries. Richard has a Bachelor’s of Business Administration from Oregon State University, an M.B.A. in Marketing from the University of Portland, and he has completed master’s level research and coursework on the psychology of influence at Harvard University within their ALM department. Daphny serves as Director at the Investment Certification Institute and Wilson Holding Company. He was added to further develop and expand our thriving training programs. Daphny comes to us with over 15 years of hands-on customer service and high-end sales experience and is bilingual in English and Spanish. Daphny will likely be your point of contact for registration information and serve as your advocate throughout your time in the program(s). Jeff has over 15 years of business brokerage experience. He is currently the President of the J&S Group, Inc. a business brokerage firm based in Dothan, AL. Jeff opened the Dothan office of J&S Group, Inc in 1995. Since then he has worked with hundreds of business buyers and sellers, specializing in the transfer of privately held businesses and associated commercial real estate. Prior to opening the office, Jeff worked in plant, operations, and general management in the food industry for seventeen years. Jeff has been involved in many business transfers, both before and after opening the Dothan office. Now he is also associated with Coldwell Banker Commercial Alfred Saliba Realty for commercial real estate transactions. Other past associations include membership in the American Management Association, Institute of Packaging Professionals, and American Association of Candy Technologists. Jeff is an Alabama Real Estate Broker. He holds a Bachelor of Science in Business Administration from Auburn University. Jeff has been the leading faculty member developing our Certified Business Broker (CBB) program. Nicholas is Managing Director of Tango Equity, Inc. in New York City, which provides investment banking and merger and acquisition consulting to both public and private corporations. Tango combines its expertise in the field of M&A with its strong analytical skills, utilizing a targeted approach to all transactions, blending quality research and analysis to maximize the chances of success. 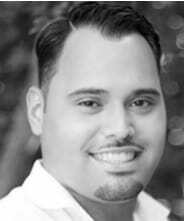 Mr. Malino started Tango in February 2001 to service several clients with buy-side M&A assignments primarily in the area of temporary staffing and engineering services. The company closed five transactions in its first six months of operations. The Company is headquartered in New York City and has affiliate offices in Los Angeles and Scottsdale. Katalin is a European based business executive with over 11 years of experience in financial auditing, financial analysis, business analysis, forecasting, management, and controller responsibilities. Katalin has been trained and has lead teams in business and financial analysis at Proctor & Gamble, one of the largest and most successful corporations in the world. Katalin is now head of our Financial Analyst Specialist (FAS). She is using her deep experience in working as a professor combined with her practical experience and in-depth Fortune 500 training to provide the most practical financial analysis program possible. David Becker is an expert in portfolio and risk management and is well adept in his knowledge of financial derivatives. Mr. Becker has an 18-year track record of creating and initiating successful investment ideas. During his professional career, David has worked for 2 investment banks, which include Morgan Stanley and Smith Barney, trading equities, debt derivatives, commodities, and foreign exchange. David also spent time working at 3 different hedge funds, where he managed portfolios and developed a successful track record. David has in-depth knowledge of many trading strategies that lead to successful short and long term returns. Theo’s background is in private equity and hedge fund market research, and he is a frequently published writer on these subjects. Theo runs one of the most popular websites within the private equity industry and is often referred to as a thought leader within the industry. Theo’s experience and knowledge are being applied to our blog, forum, financial analysis certification, and financial modeling certification programs. He has also been a key team member in helping publish several of our books and e-books on finance, private equity, and hedge funds. Adriana Albuquerque handles participant inquiries and research projects. Adriana also helps the Investment Certification Institute coordinate our global networking events and speaking engagements. She has experience in working for a translation firm, market research, and online education delivery systems. With her multi-lingual abilities and global business experience, Adriana helps with international client services and making sure our client experience is always being improved. Some of the video content for this international finance programs were recorded with Adrian’s help in locations such as Sao Paulo, Tokyo, Hong Kong, and Mexico. Charlie Wilson is the Investment Certification Institute’s technical advisor on video and audio programs supplied within all of our training and certification programs. Charlie helps produce videos, membership-based websites, recorded phone interviews, and overall training packages. Charlie’s background is in conducting market research and multimedia product design, and today he helps us manage our library of over 1,500 video recordings and 300+ audio expert interviews. Brad is the 2nd Vice President of Northern Trust. He previously worked at Performance Trust and his main responsibilities since becoming a member of Performance Trust have been to streamline the Bond Trust Accounting system using his process creation and procedure skills and unique industry experiences. 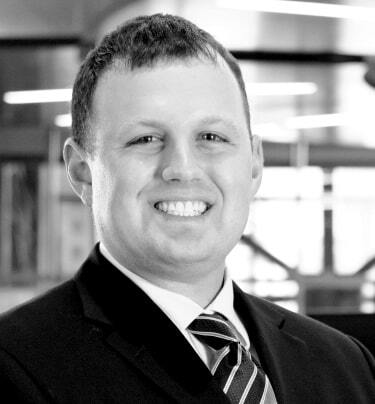 Before joining Performance Trust, Brad worked as a Performance/Implementation Analyst for Guggenheim Partners. Prior to that, Brad held positions at Guggenheim Funds, UBS, State Street Bank & Trust, and Investors Bank & Trust. Brad holds a Master of Science degree in finance from Brandeis University and a Bachelor of Arts in business administration, international relations, and global trade from Muhlenberg College. Brad is also a Certified Exchange Traded Funds Advisor (CETF) by the ETF Institute, in addition, to be a Certified Hedge Professional in Portfolio Analytics by The Hedge Fund Group (HFG). Financial Analyst Certification: Led by faculty member Katalin Antal the Financial Analyst Specialist Certification (FASC) training and certification program provides participants with a self-paced solution that can be completed from anywhere in the world. Hedge Fund Certification: Led by faculty member Richard Wilson, over 1,200 professionals have joined the Certified Hedge Fund Professional (CHP) program to date. This program is supported by our 125,000 member Hedge Fund Group (HFG) networking association. Financial Modeling Certification: The Certified Financial Modeling Specialist (CFMS) is again a self-paced program that anyone can complete from anywhere in the world. This program is challenging and it is recommended that participants first complete the Financial Analyst Specialist Certification (CFAS) program before enrolling in this program. Investment Banking Certification: Launched based on numerous requests from visitors to our websites and blogs this program is for those who want to improve their education on investment banking terms, industry trends, and models. This is an advanced program and while not required, it is recommended that participants first complete the Certified Financial Modeling Specialist (CFMS) program before enrolling. Private Equity Certification: To our knowledge this is the only certification program available for private equity professionals. This program was modeled after our firm’s successful program on hedge funds and it is supported by our 120,000 member Private Equity Investment Group (PEIG) networking association. Business Brokerage Certification: We provide one of the only self-direct business brokerage training and certificate programs available today, and it is one of the top two most recognized programs globally in this space. Completing our program will help you learn business brokerage fundamentals, best practices, valuation formulas, and industry lingo. Note: These are practical industry training and certification programs that you can take at your own pace, and once you join you get lifetime access to these training program resources. This is not training on how to become a licensed broker-dealer.